WASHINGTON — Over-the-counter (O-T-C) medicines save the U.S. health care system nearly $146 billion a year, a new study has found. The report, “Value of O-T-C Medicines to the U.S. Healthcare System,” which was released by the Consumer Healthcare Products Association (CHPA), found that, on average, each dollar spent on O-T-Cs saves the national system approximately $7.20, totaling nearly $146 billion in annual savings. In partnership with Information Resources Inc. (IRI), the study examined survey responses of more than 5,000 consumers and determined that savings from the availability of O-T-Cs come from two major categories: nearly $52 billion in drug cost savings (lower-priced O-T-Cs versus prescription drugs); and, nearly $95 billion in cost savings due to avoidance of unnecessary clinical visits. The study estimated that nearly 90% of consumers who treat a condition with an O-T-C would seek professional medical treatment if O-T-Cs were unavailable, forcing the health care system to absorb unnecessary office visits from hundreds of millions of consumers who could otherwise self-treat. The study analyzed nine O-T-C categories to identify the primary contributors of savings. The categories — allergy, analgesics, antifungals, cough/cold/flu, lower GI, medicated skin, upper GI, sleep, and smoking cessation — represent the majority of O-T-Cs purchased in the U.S. Three categories: medicated skin, lower GI, and upper GI, accounted for 61% of the total O-T-C savings, driven primarily by the price difference between O-T-Cs and their prescription counterparts. When determining the value across the four categories of insurance segments within the health care system (cash, commercial, Medicaid, and Medicare), nearly half of the $146 billion in value was generated in the commercial market. Approximately $73.6 billion dollars, or 50.3% of total savings, were captured by commercial plans. Commercial plans include a plurality of consumers, with a 48% share of consumers, while cash, Medicaid, and Medicare plans comprise 13%, 20%, and 19% of the market, respectively. 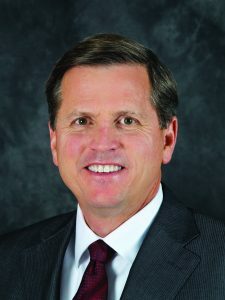 “The evidence is clear that O-T-C medicines help ease the tremendous burden on the health care system by empowering consumer self-care, thereby allowing over-stretched health care practitioners to focus on the diagnosis and treatment of patients with more serious diseases and medical conditions,” said Melville. O-T-Cs provide additional value through expanded access for more than 27 million consumers who would otherwise forgo treatment — more than 13 million Americans for allergies alone. When factoring in time missed during work hours to seek treatment or obtain a prescription, the availability of O-T-Cs produces an additional savings of approximately $34 billion in potential workplace productivity benefits annually. O-T-C medical devices — including products for pain relief, foot comfort and care, heat/ice packs, muscle simulators, asthma inhalers, etc. — also generate significant additional value to the health care system, totaling $7.7 billion annually for treatment and testing. More information is available at www.overthecountervalue.org.